ARMORED DOOR in Phuket ? 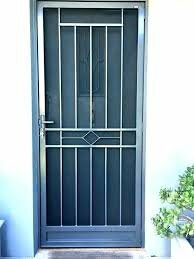 Hi i would like to instal an light armored door for my condo in Phuket, at least a very secure door Any adress ? in Phuket or near by ? hafele in Hua Hin has steel exterior doors and metal frames from Germany. maybe the same in your area. could be used for interior. i did not see on the website but very nice in store display. Just set up a shotgun to go off when the front door opens just don't forget to turn it off when you enter yourself. Are determined to keep people locked out of your condo...or locked in? The lockset is what you want to spend your money on. Locksets are so cheap made here a child could pick it or slip it. Cheap Locksets are cheaply made. You can get quality locksets if you pay for them, Häfele has them, though they do cost more than a cheap door. If you don't spend enough you get cheap quality. Good quality has to be searched out. Have a second steel door installed, thats what alot do. OHHH it as an "A" on it, thats quality then. They have a facebook page but could not find a web site.